Electronic Fingerprints - FBI approved! Thank you for your interest in joining our team of wonderful Nannies! We are an in-home childcare referral agency that specializes in the ideal match between Nannies and families. 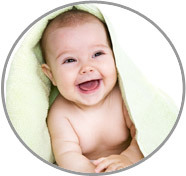 Each nanny accepted must start by submitting an online application. Our exceptional screening process is what allows ABC Nanny Source to command the highest salaries available based on your experience, education and references. Once accepted, ABC Nanny Source will initiate a National and County-Wide Criminal Background Check. Electronic fingerprints will be taken when you come to the agency for your face-to-face interview, and a pre-paid drug test control form will be provided for you to go to a local Quest Diagnostic lab center to submit to drug testing. All applicants considered for interviewing must be CPR Certified for Children and Infants once accepted. Please fill out the application below and be as detailed as possible and an ABC placement counselor will be in touch with you promptly to arrange your interview and get you started! *Are you an American Citizen? *Do you have a valid social security number? *Do you have a car? *Do you have any motor vehicle violations within the last three years? *Has your license been suspended within the last three years? *Have you had ANY accidents in the last three years including NO fault accidents? *If offered a position are you able to make a minimum 1-year commitment? *Are you available to start immediately? *Do you have any concerns about your National Background clearances? *What is your birth date? *Have you ever been a Nanny before? *Are you able to swim? *Are you willing to become CPR Certified? *Are you First Aid Certified? *Do you fluently speak any other language? *Would you feel comfortable working with a physically or mentally handicapped child? *Do you have any allergies? *What is your marital status? *What arrangements have been made for your child/children during the time period you would be working? *Are you comfortable working around animals? *Are you willing to help with light housekeeping if part of the job description? *Are you currently on file with another agency or online service? *Do you intend to drive a vehicle to and from your nanny position? *Please provide the make, model, year and color of the vehicle you will utilize. *Have you been diagnosed with any psychological problems that could affect your position as a Nanny? *Do you have any dietary restrictions that could affect your position as a Nanny? *Would you consider a live IN nanny position where your primary residence is the same as where you work? *Would you be willing to travel with the family who hires you on occasion? *Are you willing to travel domestically on occasion? *Are you willing to travel internationally on occasion? *What areas would you prefer to work in? *What is the highest level of education you have completed? *Would you describe yourself as a high energy Nanny? *What salary range and benefit package do you require? *How did you hear about ABC Nanny Source? *Please describe yourself in detail concerning your personality, goals, family background, and why you want to be a Nanny. I have been serving in some form of childcare for over years and can honestly say that I what I do! *Would you be willing to work late evenings? *Would you be willing to work weekends, if requested? *Would you be available to work overnight? *Would you be able to work overtime? *What capacity of childcare experience do you have? Check all that apply. Childcare References: Please list prior childcare positions you have held, beginning with your most recent childcare position and going back as many years as possible. Please feel free to include all nanny positions, daycare positions, babysitting as needed care, doula care, summer only camp counselor classroom setting positions and ANY child care capacity opportunities you've held. Contact information to verify references is critical so please be sure to include all necessary fields. Parents like to speak with other parents so it's perfectly okay to provide parent names and numbers instead of Institution/Daycare names and numbers if preferred. Personal References (Examples: neighbors, family members, mentor/teachers, friends, church leader/pastor etc.) Please list any references below that can support your charachter in terms of honesty and integrity. Thank you for your application, an ABC Nanny Source Scheduling Coordinator will be contacting you promptly to review your information! We look forward to sharing in your success as an outstanding ABC Nanny!